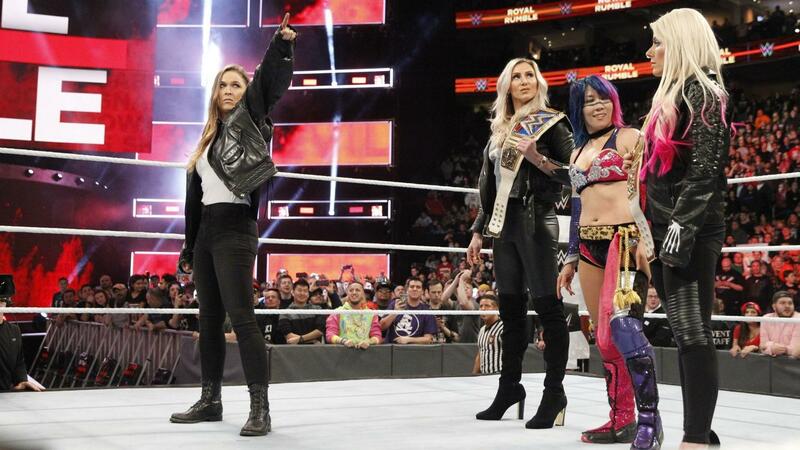 PHILADELPHIA — Everyone knew the first-ever Women’s Royal Rumble Match would make history. Few knew it would involve iconic mixed martial artist Ronda Rousey. 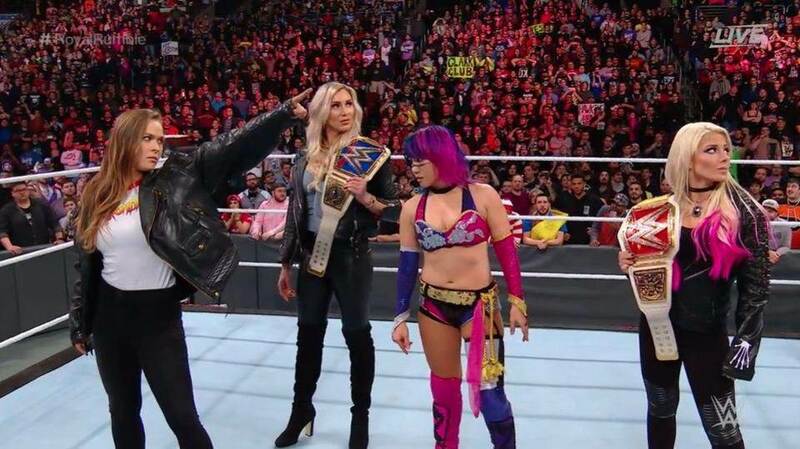 The former UFC Women’s Bantamweight Champion made her presence felt immediately following the 30-woman over-the-top-rope melee, walking to the ring to confront Women’s Royal Rumble Match winner Asuka, SmackDown Women’s Champion Charlotte and Raw Women’s Champion Alexa Bliss. 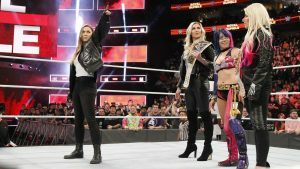 Rousey, who was wearing the jacket of her close friend and namesake, the late WWE Hall of Famer “Rowdy” Roddy Piper, did not say anything at first, but pointed directly to the WrestleMania sign hanging in the rafters. When she offered a handshake to Asuka, her hand was slapped away. A few words were exchanged before Rousey pointed to the sign once more. She then waved goodbye to the three Superstars in the ring. More HERE at WWE.com and HERE at ESPN.com. Which champion will Rousey face? Asuka, the Raw superstar, won the first-ever all-female Royal Rumble and did not pick which champion to contest yet (full RR 2018 spoilers HERE). So, who will challenger Raw WWE Women’s Champion Alexa Bliss and Smackdown Live’s Women’s Champion at Wrestlemania 34? We will learn that soon. Stay tuned.